Product information "Parfum Oil Concentrate (Baby)"
Give one drop on the jointed body or in the filling and it smells wonderful like a baby. Concentrate: Pay attention to eyes and skin. Keep away from children. 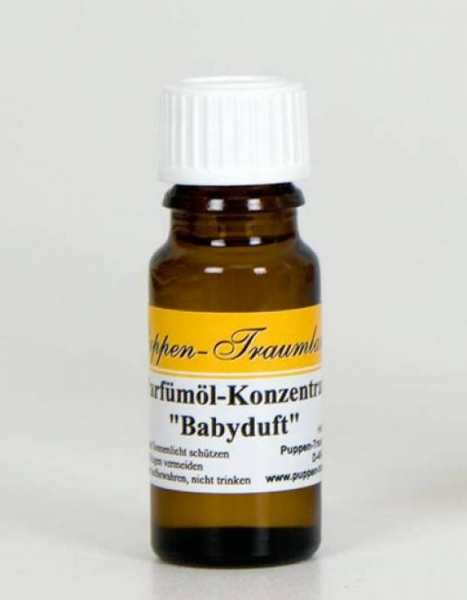 Related links to "Parfum Oil Concentrate (Baby)"
Parfümöl-Konzentrat damit bin ich sehr zu frieden und werde mit Sicherheit wieder Bestellen. Customer evaluation for "Parfum Oil Concentrate (Baby)"